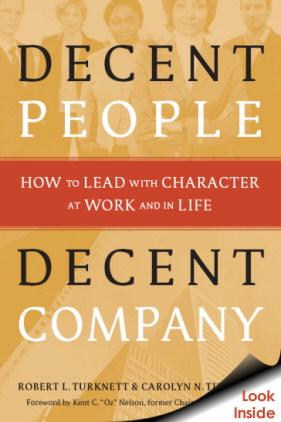 f you want to grow as a leader and as a person, read ï¿½Decent People, Decent Companyï¿½ and put its principles to work. This is a book you will want to give to your associates and reread annually." 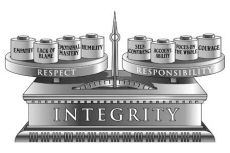 The character needed for leadership can be thought of as a scale, where integrity is the base and respect and responsibility balance on either side.